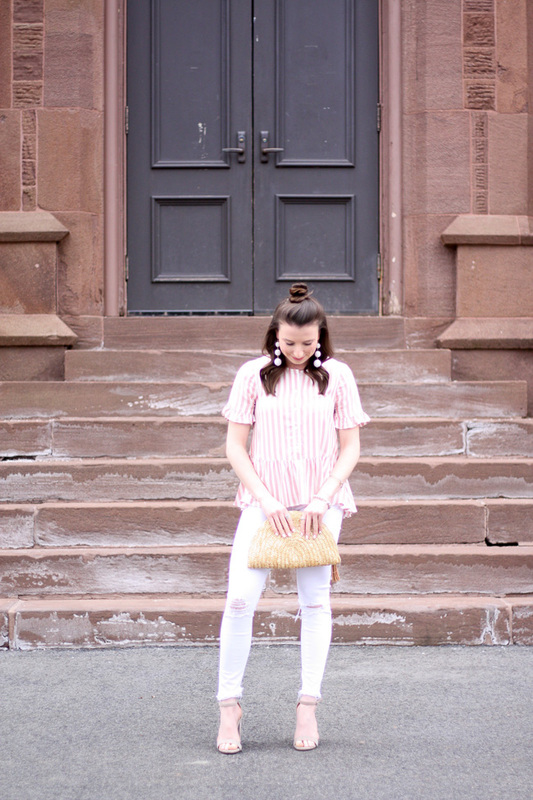 Faith and Fancy : National Stripes Day! 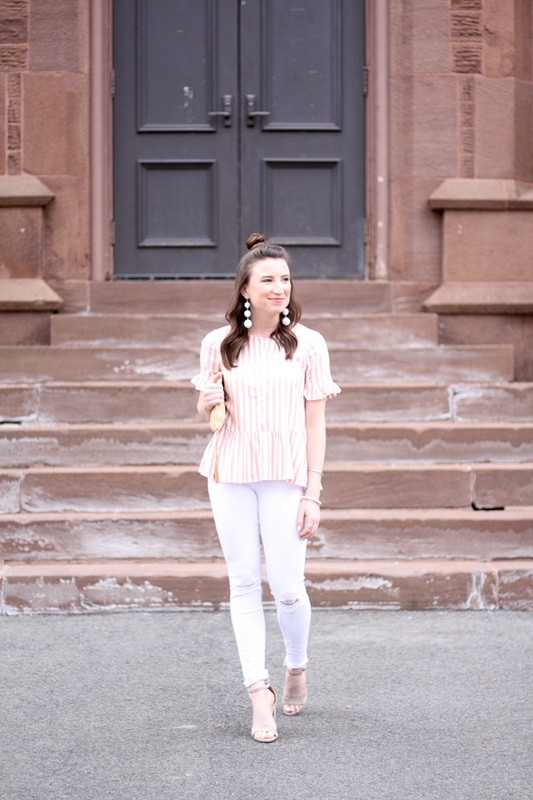 In case you didn't know today March 31st is National Stripes Day and I couldn't think of a better top to share with you all! 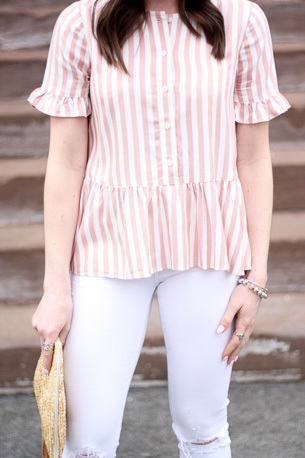 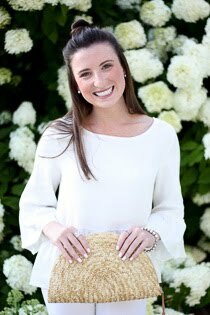 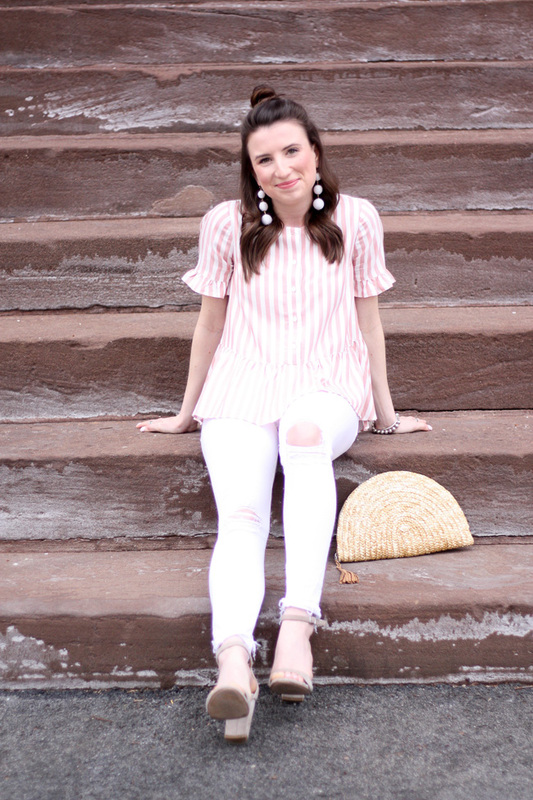 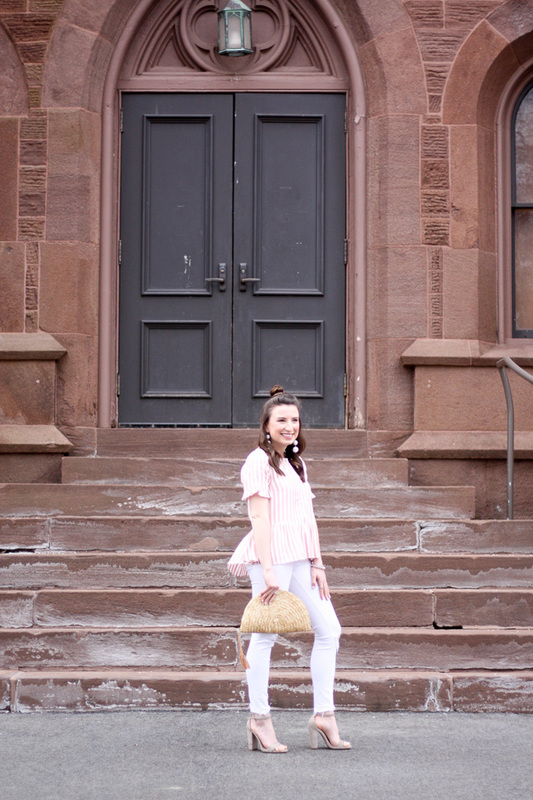 Between the ruffle hem, buttons, and of course pretty little stripes, this blouse is a winner in my book. 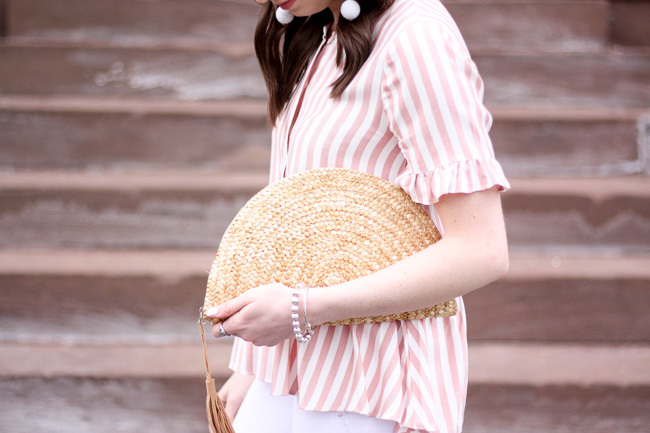 It's feminine silhouette and delicate details make it perfect for almost any occasion this spring. 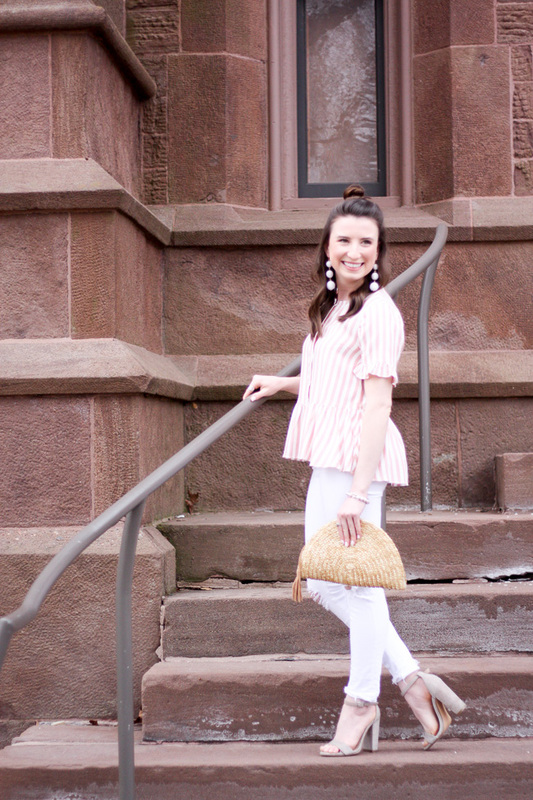 I have always been a big fan of stripes and think a classic blue & white striped tee is a wardrobe staple. 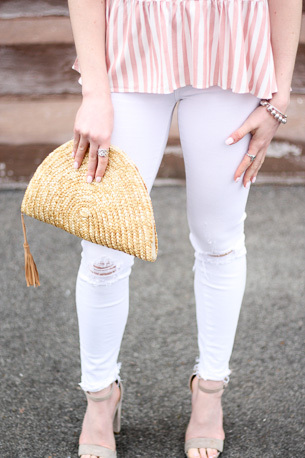 Of course I am always open to a twist on that classic! 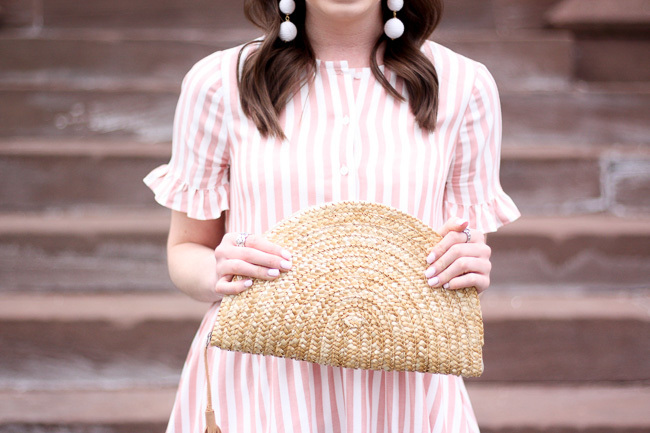 Everything from pinstripes to wide dock stripes are fair game and make for a fun addition to any look. 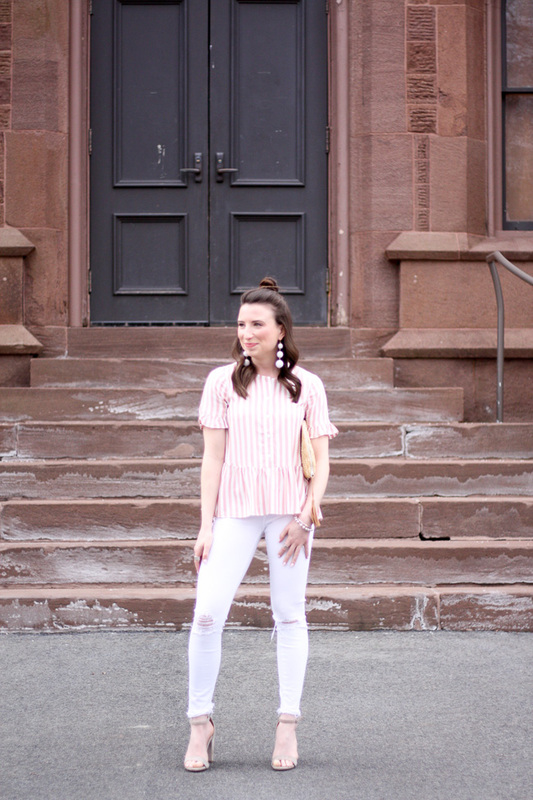 In honor of National Stripes Day, I've rounded up some of my favorite striped pieces out there now!